Now that the decision to exit the E.U. has been made, the next step is to start the actual process. When the E.U. was initially established after WWII, a clause was inserted to address any countries that should want to terminate and exit the agreement in the future. The clause is known as Article 50 and the article establishes the balance of power for divorce talks. It also lays down the voting rules for deciding how to part ways and sets a two-year deadline on talks that can only be extended by a unanimous decision of the other 27 E.U. countries. While starting the formal break-up process is in the hands of Britain’s Prime Minister, a decision on how and when to end it would not be. Britain’s departing Prime Minister, David Cameron, did not trigger Article 50 and is leaving it to his successor, much to the annoyance of those in the E.U. who want a fast and efficient break. Only the British government can decide when to invoke Article 50, as it is not designed to oust a country from the E.U. Immigration has been at the root of contention, as Britain’s net migration stood at 333,000 in 2015, the second highest figure on record and more than three times David Cameron’s 2010 pledge to bring the figure down to the tens of thousands. Net immigration from E.U. countries, particularly central and eastern European member countries, rose rapidly after their accession to the E.U. in 2004 and more recently when citizens of Bulgaria and Romania acquired the right to work and settle in the U.K. Only by leaving the E.U. can the government reduce the number of E.U. migrants. Britain leaving the E.U. is viewed with different consequences by various people. Some believe that Europe needs Britain more than Britain needs Europe. Britain’s economy is the fifth largest in the world, making Britain’s departure more significant than a smaller less productive E.U. member. As a comparison, California has the sixth largest economy worldwide. With a population of over 500 million throughout the 28 E.U. countries, the United Kingdom represents 12.7% of the E.U.’s total population, one of the larger components making up the E.U. The union was developed as an integral single market through a standardized system of laws that apply to all 28 member countries, thus allowing for the free movement of people, goods, services and capital. Want to learn more about how you can protect and grow your wealth? On a global scale, the E.U. covers over 7% of the world population, made up of distinctive cultures and languages, all sharing the same financial and trade laws. 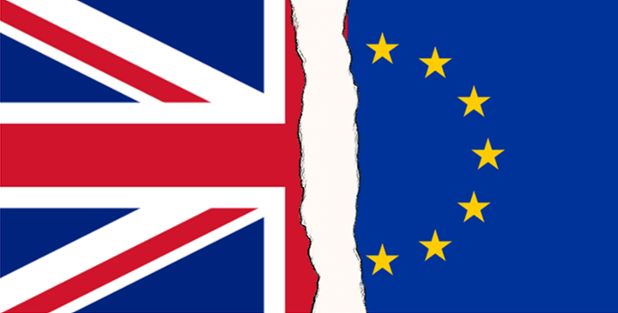 The British approval to exit the E.U. is the catalyst for the end of European cohesion and a symbolic rejection of the status quo throughout Europe. International companies and multinationals may now be less eager to expand or hire in the U.K. as the uncertainty of the E.U. detachment unfolds. Britain has been at odds with the E.U. before, when the euro was introduced to world financial markets in January 1999. The country had then decided not to adopt the single currency and remain with its centuries-established pound. The British pound reached a high for the year versus the U.S. dollar on the day before the referendum vote, in anticipation of a vote to remain in the E.U. However, the pound quickly reversed and fell to a 30-year low once the results showed that the vote to leave was intact. Before the E.U., Britain had one of the weakest economies in Europe. Many argue that the E.U. actually helped propel the U.K. to one of the largest and strongest economies of the 28-member E.U. countries. Its annual growth in prosperity has improved from bottom of the league, among the G7 leading economies before it joined the European Economic Community, to top spot in the 43 years after 1973. Are you interested in the Fed and how it effects our daily lives? For decades, Britain’s debt carried the highest credit ratings while several E.U. members were rated as junk. Britain has actually added credibility and structure to the E.U. through its sophisticated and established financial industry. Over the years, London has grown to be recognized as a critical financial center facilitating credit and banking transactions throughout Europe. Throughout Europe and the international financial markets, London is known as a key financial center, employing tens of thousands of financial industry professionals from banks all over the world. With E.U. membership in question, several banks are already making preparations to shift employees out of Britain to other European financial cities such as Dublin, Paris and Frankfurt. The logistical and financial burden may prove to be incredibly costly for both employees and banks once the exodus is set in motion. Financial industry employees have been migrating between E.U. countries easily with so-called “passporting” rights, which allow non-British residents to work and operate in the country. Lawyers advising the financial industry in the E.U. have warned that the passporting rights they rely upon could be partially or entirely abolished depending on the outcome of negotiations over the U.K.’s exit from the E.U. Britain’s departure also marks the E.U. losing its largest military spender, a U.N. Security Council seat, and the E.U.’s second biggest economy. With France and German elections approaching next year, both countries are reluctant to expose the deep divisions among their citizens as well as be pressured to institute a similar referendum vote as Britain’s and with a similar outcome.